Well-known playback singer Deepa Narayan headed the jury of “PERFECT MISS INDIA 2015” in grand finale of its beauty pageant. This contest was organized by Khooshi & Guru Bhai Thakkar M.D. of G.I.P.A. Group’s magazine “PERFECT WOMEN” in a grand function held at St. Andrews Auditorium, Bandra (W) recently. Other jury members were Rajiv Kaul (writer), Baghvatula Rao (producer), Imran Funrniturewala (Entrepreneur), Geeta Hari (Anchor-Columnist), Dr. Shailesh Shrivastava (Director of DD Mumbai), Jyoti Jhangiani (Astrologer) and Yogesh Lakhani (Bright outdoor). Popular R.J. Anurag Pandey (Fever 1040 FM) and international model Swati Jain hosted this event. Neelam Tiwari, Shreyja Pratik, Yakshita Gowda, Aishwariya Vhatkar, Neha Pathak, Ekta Sajgotra, Shweta Vengurlekar, Simran Meshram, Apoorva Nayak and Ruth Charles Worth were ten top finalist. Ruth Charlesworth became the winner and crowned with “PERFECT MISS INDIA 2015”. 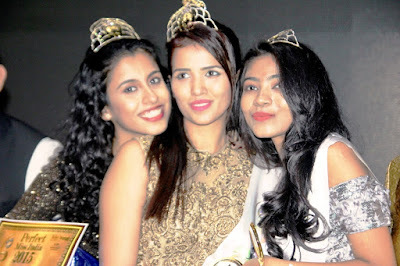 Apoorva Nayak and Simran Meshram were first and second runner ups respectively in this pageant. Film Review: Yash, Raaj aur film! The film is based on bollywood’s reality, what happens with all strugglers, freshers. Debutant director Ranveer Pratap Singh has well handled the film on his own script. The film has only one song ‘Sab Saale Filmi Hain’ in background and comes many time with the mood of sequences and explains the story in right way. Performance-wise; Ajay Raj Tomar, Preet Saluja, Chakshu Tiwari and Vishal Acharya are good. Rana Kumar & Ankur Verma are fair in brief role. Rest cast cast are okay. Ravi’s cinematography is good. Sandeep Kumar Sandy has edited brilliantly. Production and technical values are proper. Publicity is weak. New comer Sonika Parashar is another girl from up-town who is all out to make a name for herself in this tinsel town. She hails from Shimla like her veteran predecessors Preity Zinta and Kangana Ranaut. Hailing from a middle-class family, Sonika from her very tender age wanted to be an actress. To begin with, she participated in all her school and college plays and other cultural activities. She even took part in college youth festivals. Modelling was her first step towards the glittering and glamour world. She had her parent’s blessings and support and thus landed in Mumbai to try her luck. She began with documentaries and short films which were aired on Life Ok and Sahara One. She also featured in a T.V. serial titled Saraswatichandra aired on Star Plus. Now she is ready to prove herself on the big screen with her acting histrionics. She is thankful to Mr. Amit Shah and fashion designer Atique Ajmeri (son of well known writer and lyricist Asad Ajmeri) for casting her in their music video based on the Indian National Anthem. This video is unique as it features more than 70 celebrities from all walks of life from across the nation. She feels it a priviledge to rub shoulders with personalities like Shilpa Shetty, Mallika Sherawat, Vivek Oberoi, Tusshar Kapoor and other Bollywood stalwarts. Amit Shah and Atique Ajmeri has also signed her to play the lead in their upcoming film titled Telegram. Sonika Parashar is one of those new talents to bring all kinds of characters alive on the celluloid world. 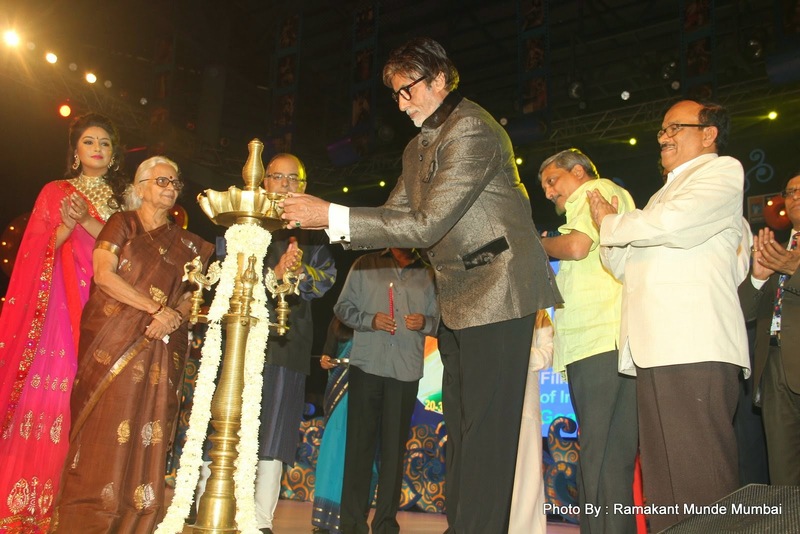 Mega star Amitabh Bachchan inaugurated 45th International Film Festival of India (IFFI) on 20th November 2014 at dr. Shyama Prasad Mukherjee Stadium, Taleigao, Goa in an admit gathering with lighying of the lamp, where Arun Jaitely, union minister information & broadcasting, Laxmikant Parsekar chief minister of Goa, Col. Rajyavardhan rathore minister of state information & broadcasting, Ms. Mridula sinha governor of Goa, Manohar parikar union defence minister, Gulzar, rajnikanth, Ragini Trivedi, Pawan Kalyanji, Bimal Julka and many others were present. 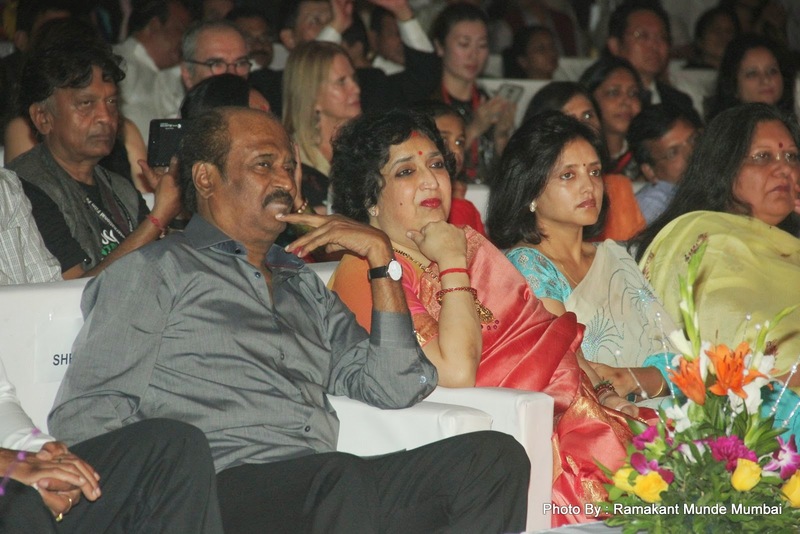 Anupam Kher and raveena Tandon hosted the event. 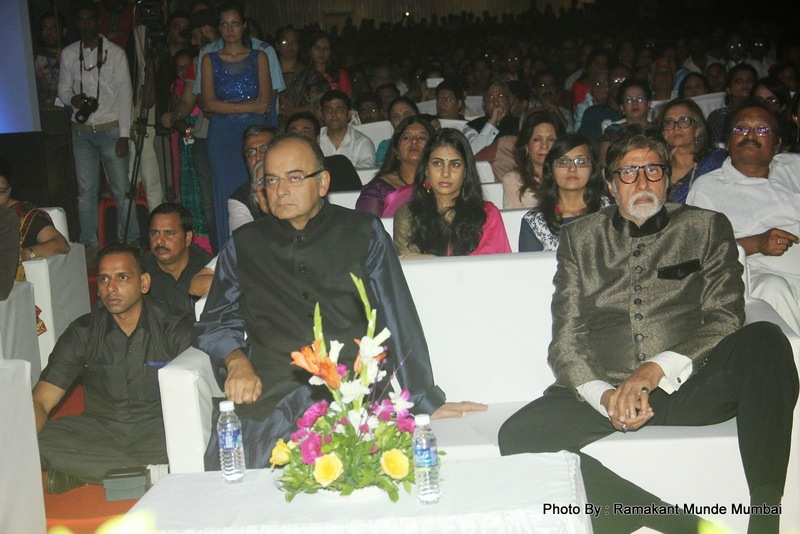 Arun Jaitely along with Amitabh Bachchan awarded the Centenary award for Film personality of the year to Rajnikanth, (the coveted award had gone to Waheeda Rehman last year) beside a shawl and a trophy. Arun Jaitely presented Life Time Achievement Award to Hong Kong’s filmmaker Wong Kar-Wai. And Arun Jaitely also felicitated the International Jury. The 2014 edition of the film festival is 11th day in a row at Goa begins with 35th International film Festival of India in November 2014 in state. The festival will be continue in Goa only and Government has planned to fix Donakaol, Goa for the next each IFFI. 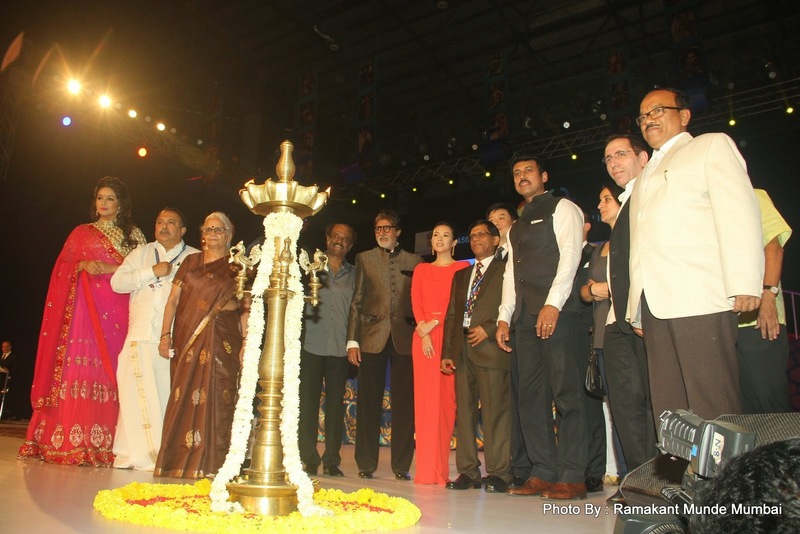 Besides, the world premieres IFFI 2014 offers a repertoire of activities, such as The Film Bazar, 3D Films, Master Classes, Stalls and Open-Air screenings. close with THE GRAND MASTER film by Wong Kar-wai on 30th November 2014. Dev (Ranveer Singh) and Tutu (Ali Zafar) are two orphans who are abandoned at birth and are found in a garbage dump by the local merciless gangster Bhaiyaji (Govinda). He takes them in, nurtures them and trains them to become professional killers. The duo highly regards him and everything is gung ho until one day, when a criminal reformer Disha (Parineeti Chopra) enters Dev’s life and the two fall in love. Bhaiyyaji does not accept their relationship and Dev has to make a difficult choice now. Even Tutu gets stuck between his friendship with Dev and his loyalty towards Bhaiyyaji and things thereby take an ugly turn for one and all. This is a story of love, revenge and betrayal where is an attempt to create a perfect blend of guns and roses. But not a single moment of emotional connection to establish with the story or the characters. Performance wise, Ranveer Singh is the saving grace of the film with his innocence and comical moments. Ali Zafar seems more impressive physically and seems rather uncomfortable in the skin of his character. Parineeti Chopra is great in her role. Govinda tries to put his best but acts in his old style. Aloknath in his brief role leaves impact. Rest cast of the film lend support well. Director Shaad Ali gave two super hit films under the YRF banner which were SAATHIYA and BUNTY AUR BABLI and took a sabbatical after the downfall of his last outing JHOOM BARABAR JHOOM. Sadly, he has let the audience down yet again with such a comeback after seven years. This first half is good and in the second half the story does not hurtle towards a melodramatic climax. The dialogues written by Nitesh Tiwari, Shreyash Jain and Nikhil Mehrotra are fantastic. Musically, Shankar-Ehsaan-Loy are good. Sham Kaushal’s action is above average. Cinematography by Aveek Mukhopadhyay is excellent. Ritesh Soni’s editing is up to the mark. Production and technical values are very good. The film was heavily publicized. At the box office, despite a strong star cast, the film is expected to do moderate business. John Wick (Keanu Reeves) is a former hit man who leaves the world of crime to be with the love of his love Helen (Bridget Moynahan) but returns after she is deceased, to take revenge from some Russian gangsters who messed with him and took everything away. What follows is a cat and mouse chase where the city of New York becomes the ultimate battleground for him against Vikko Tarasov (Michael Nyqvist), the leader of the Russian syndicate. The film released long ago in the States and other countries and was widely appreciated for its high octane action. The veteran stuntmen duo David Leitch and Chad Stahelski have made an impressive directorial debut with this revenge thriller. Keanu Reeves plays the title role brilliantly. Bridget is beautiful but has a short lived role. Michael Nyqvist is remarkable as the antagonist. The other cast supports well. Screenplay and dialogues are impressive. Editing is sharp. Cinematography is very good. Production and technical values are good. The publicity was average. At the box office, the film is an average. Six youngsters undertake a trek in the jungles of Karnataka that goes horribly wrong when bizarre incidents are encountered by them one after the other. The friends either disappear or get killed. All of the incidents get taped in a video recorder and are presented in the story as found footage. It is a remake of the Kannada horror film with the same title. Bharat Jain has tried his level best to create a version which gives the same amount of chills to the Hindi audience as well but ends up providing a shoddy patch work of it. Undoubtedly, the genre of found footage is different and hence, an interesting experiment but he fails in terms of presentation. The cast is full of newcomers and no one is up to the mark. The script is weak. Editing is bad. Cinematography is poor. Production and technical values are mediocre. The publicity was zero. At the box office, the film is total disappointed.